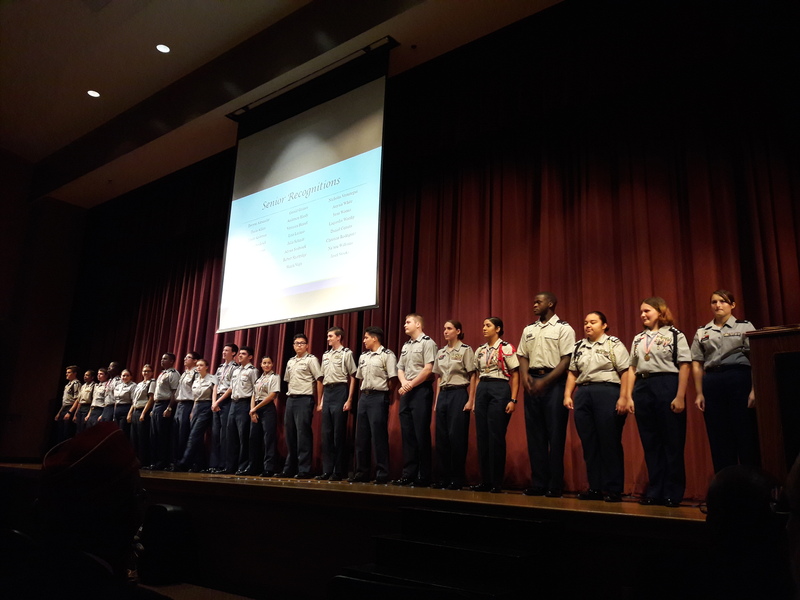 AUSA Chapter President, Eric Lien and VP JROTC Programs attended the JROTC Ceremony at Steinbrenner High School, Tampa, FL, Friday, March 29, 2019. This well executed program was conducted by SAI CW4 Engasser. AUSA representatives Lien and Gross presented two AUSA medal and pin sets and certificates to two well qualified cadets. 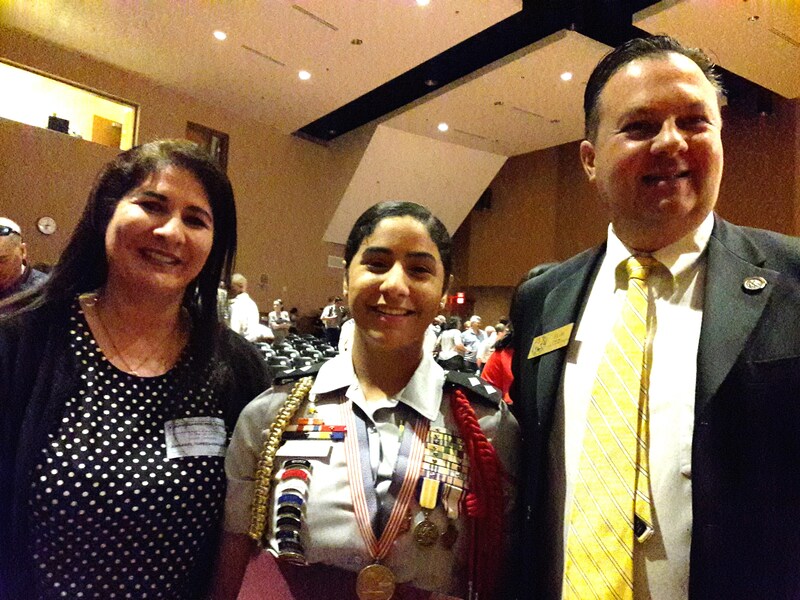 A special award, the AUSA Suncoast Chapter Educational Excellence scholarship award in the amount of $500 was presented to one of the Area 9 top cadets, C/LTC Valeria Carrasquillo. Also, cadet Carrasquillo was presented a stunning AUSA watch. 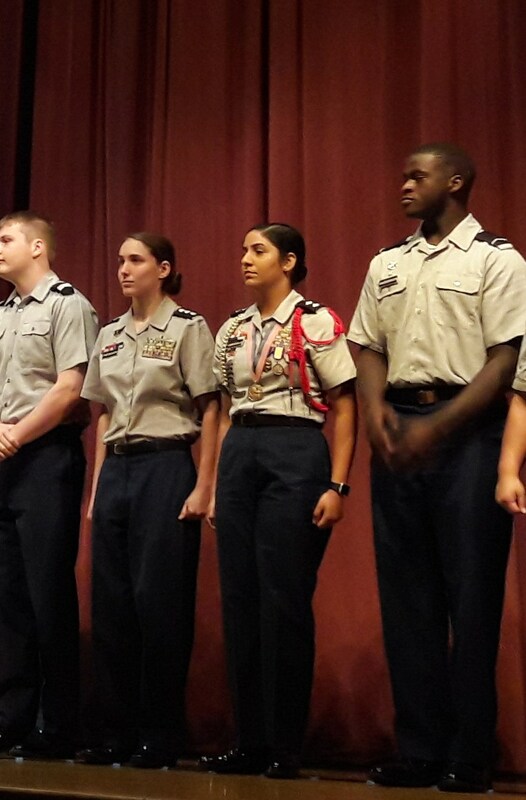 Congratulations cadets for your hard work, AUSA is proud to partner with Steinbrenner High School’s JROTC program.